Keep your existing Heath martin house gourd pole viable and useable for years with help from these Heath Aluminum Gourd Replacement Hanging Rods. This convenient set of four rods is specifically designed for use with the Heath aluminum gourd poles (not included), sliding through the predrilled holes in your pole. The 20" length of each rod not only conveniently installs in the pole; it also offers plenty of hanging room on each side to accommodate two gourds. This keeps your gourds perfectly placed for many seasons. Ensure your existing gourd pole is in working order year after year with help from these Aluminum Gourd Replacement Hanging Rods. 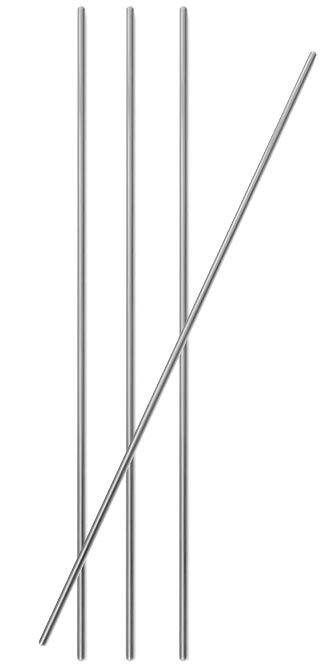 Note: This case pack includes 4 of the Heath Aluminum Gourd Replacement Hanging Rods, 20".